As one can tell from the complete and utter lack of posts the last few weeks, I've been busy. In fact, so busy I've barely been playing games. So it with some unadulterated joy that I made to games night last night - only to have that joy killed by a particularly mean-spirited game of the unforgiving Nordic edition of Ticket To Ride. I was about skulk off early to lick my wounds when I was begged me to join a game of Panic Station which needed one more player. I had heard about PS before and it's "problematic" winning conditions but they convinced me it was short so I agreed. Perhaps a little cooperation would cheer me up. 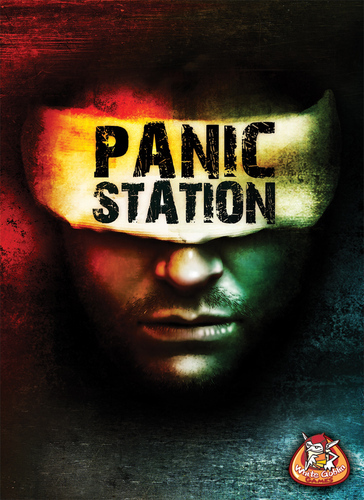 If you haven't heard of Panic Station, it's kind of a semi-cooperative game with one player secretly designated the evil alien host whose only goal is to infect the other players or, if necessary, kill them. Meanwhile, the humans, while they remain uninfected, are trying to locate the Hive card and bring three gas tanks there to blow it up. Players can't show others their cards (unless a certain special card forces them to) so noone is entirely sure who is who and everything is delightfully paranoid. Me: "But now everyone knows I'm still human! Crap!" SITUATION #2: Another infected player then shoots my player repeatedly with a gun. I have not been informed I can be shot and/or shoot others. Me: "You can shoot each other?!?!?! But I've had bullets this whole time?!?!?!?" SITUATION #3: I am forced to trade with a player who I know is the alien host. But then she stops and says she's not sure she can trade her last blood card. Me: "Um, you just told everyone you're an alien." SITUATION #4: In my stupidity, I slip her the wrong card forgetting that she infects me if I don't pass a gas can. Me: "Uh, I forgot that rule. Again. Oh well. Does this mean it's over?" SITUATION #5: I'm the last person turned into an alien so suddenly we all win the game. Me: "We all just won? But I just lost.... Huh?"